Buses can be delayed by traffic, construction or bad weather. Check here for information about late or cancelled buses. Eligibility for yellow bus service is determined by where a student lives. Learn more about eligibility and conditional riders. You can buy yellow bus passes and subsidized ETS passes at your child's school throughout the year. Learn about how to apply for yellow bus service each school year. Edmonton Transit Service (ETS) is the preferred means of transportation for District students. Help keep all passengers safe by teaching your child the importance of following pedestrian and bus safety rules at all times. Learn more about yellow bus routes, safe stop locations and walk distance to the bus stop. Yellow bus routes may require slight changes throughout the year for new or cancelled riders. You are responsible for ensuring your child’s safety in traveling to and from the stop location. Minimizing ride times for students on the yellow bus is our highest priority. Learn about what to do when the bus is late or cancelled. 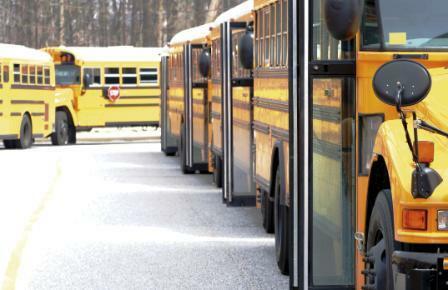 Learn more about school bus design, safety equipment and seat restraints. Help keep our students safe by slowing down and following traffic safety laws. In some cases, parents of students with special education needs may receive a subsidy for parent-provided transportation.